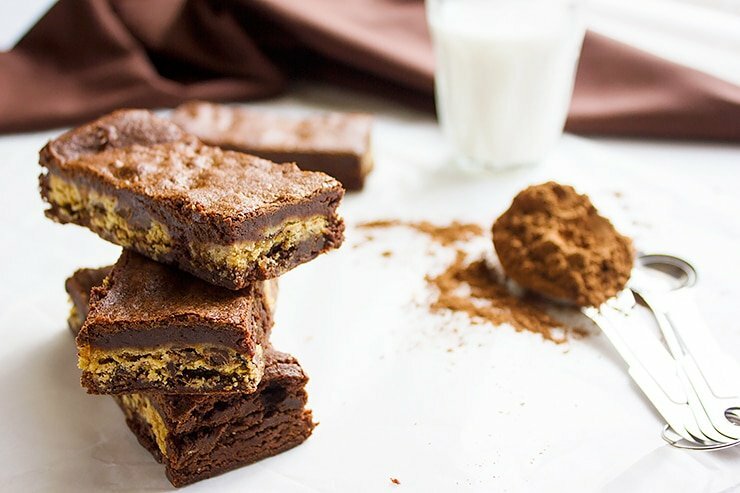 After posting a recipe for Chocolate Fudge Loaf Cake, I guess it’s time you enjoy another chocolaty and fudgy recipe, so here it is Chocolate Chip Cookies Filled Brownies. Making Chocolate Chip Cookies Filled Brownies. Something about chocolate that makes us smile, it is so pleasant and soul lifting that we mostly include it in celebrations, on birthdays, anniversaries, or even when we want to apologize, chocolate makes it easy. 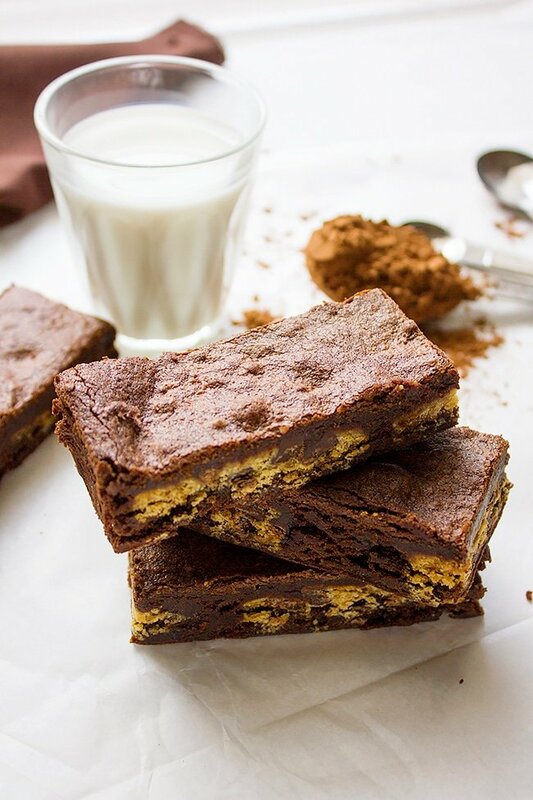 You might be thinking since these brownies are filled with chocolate chip cookies, then it must be too sweet. The sweetness of My Chocolate Chip Cookies Filled Brownies is perfectly balanced. 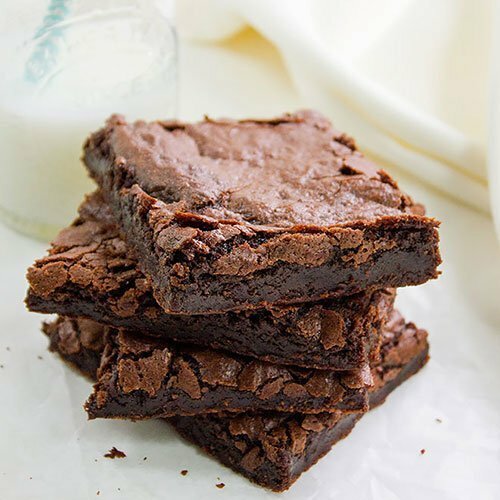 I have used semi-sweet chocolate chips in this recipe, that is why the brownies are not extra sweet. 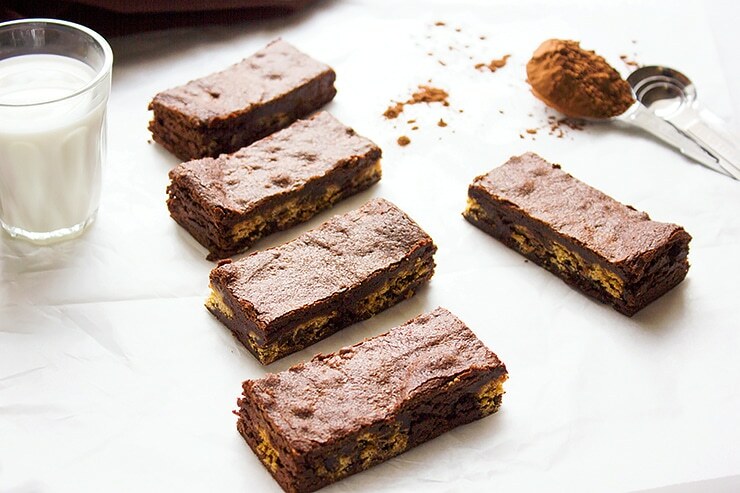 The texture is chewy, this Chocolate Chip Cookies Filled Brownies literally melt in your mouth. I have a delicious recipe for Brown Butter Chocolate Chip Cookies, which you can use in making this brownie, or use any soft chocolate chip cookies you favor. 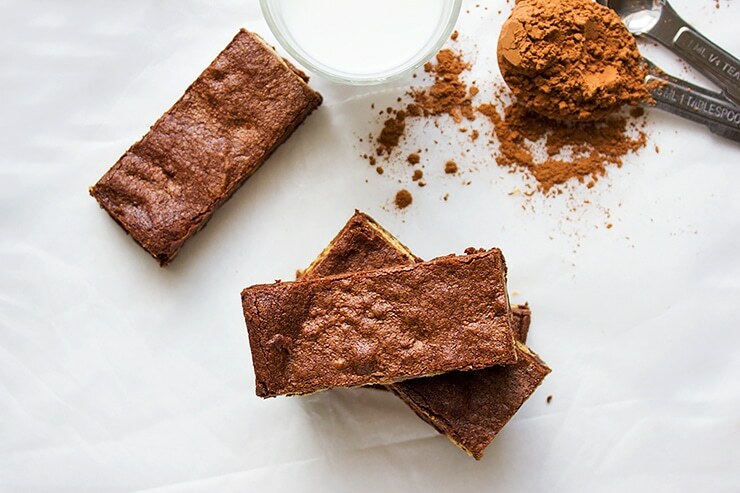 Get your glass of milk, you have two desserts to enjoy brownies and cookies. I hope you are as excited as I am about this recipe, and I’m sure you and your family will love it. 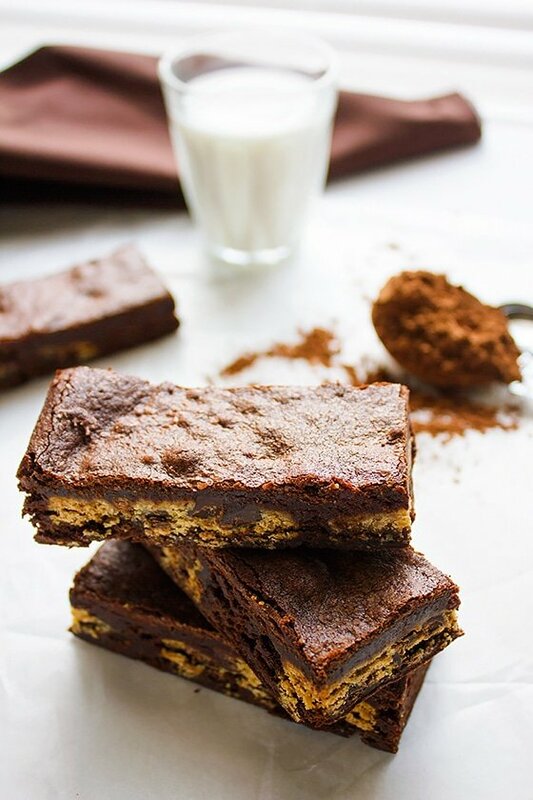 These Chocolate Chip Cookies Filled Brownies are fudgy, chewy, melts in your mouth buttery, and is waiting for you to devour. Get your glass of cold milk ready. 8 or 9 chocolate chip cookies. Line an 8x8” baking pan with parchment paper. Sift together flour, baking powder, salt, and cocoa powder, keep aside. In a microwavable bowl, add the butter and chocolate chips, melt and mix then add the sugar and mix until combined. To the sugar and butter mixture, add the eggs and the vanilla, beat well. Add the dry ingredients to the wet and mix until combined. Do not over mix. Pour half the brownie batter into the baking pan, line the cookies on top of the batter. Pour the rest of brownies batter on top of the cookies, the batter will be thick so use a spatula to spread evenly. Bake on the middle rack for 26 - 29 minutes. Place the baking pan on a cooling rack for 5 minutes. 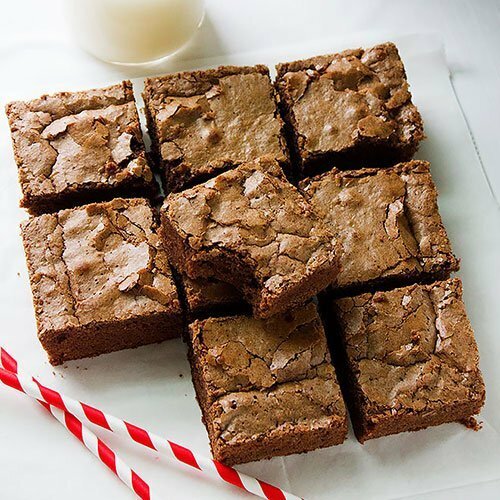 Using the edges of the parchment paper, remove the brownie from the baking pan and place on cooling rack to cool completely. Refrigerate for at least an hour, this will make it easier to cut the brownies later. You have put two most sinfully delicious sweets in one, Muna. The colour of your cocoa powder is rather brownish. Is it natural cocoa? I can only find Dutch processed one here. Look at that! They are so chewy and sweet! And very tempting! I like it! It was delicious and vanished almost same day :). Thanks Nagi. This is the ultimate brownie! I cannot wait to give it a try! Wow! These look BRILLIANT! 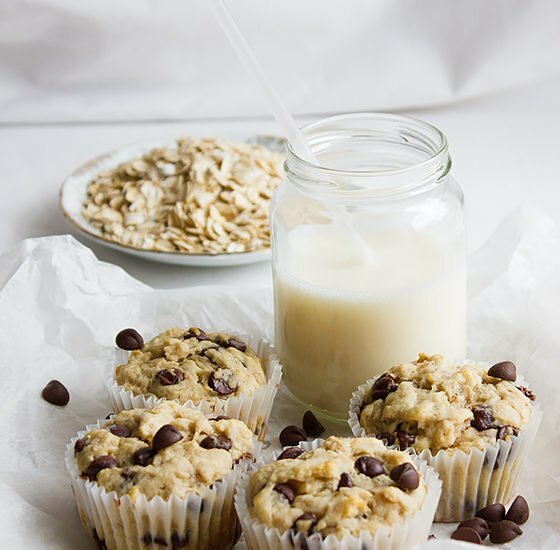 What a delicious idea & your photos are amazing!